Here by popular demand! 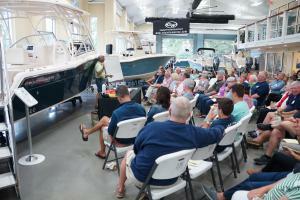 Whether you’re completely new to boating or an old salt, this is the perfect series to kickoff prime boating season. 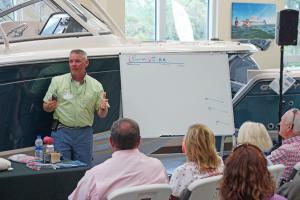 Come hear Kevin explain the basics of navigation and boat handling in a two night series, Wednesday and Thursday, April 17 and 18, 6:00pm until 8:30pm, held at out showroom location, 6707 Oleander Drive, Wilmington. Don’t typically drive the boat? 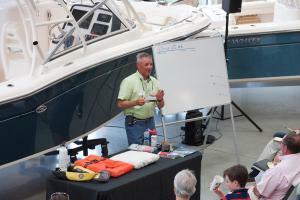 Learn what you need to know if you suddenly found yourself responsible for getting your boat and loved ones back to the dock safely. 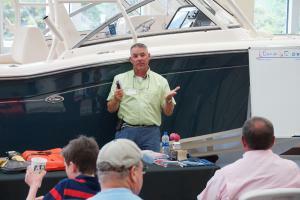 Captain Kevin Hennessey is a Master Power Boating and Sailing Instructor. 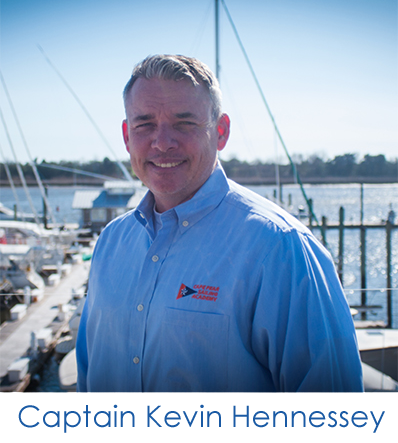 His dedication to getting people on the water has made his training organization, the Cape Fear Sailing Academy, one of the elite schools in the country. Additionally, his US Powerboating training facility in Southport is known as one of the best in the country and the best in North Carolina. Learn the basics from the best!